My home is 20 minutes away from campus so I’ve always known about UNH. 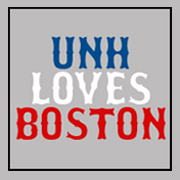 When I was young, my family and I attended hockey games, we had UNH hats, and we’d driven through campus many times. Because UNH was so familiar to me, I originally thought that I wanted to go somewhere farther away. 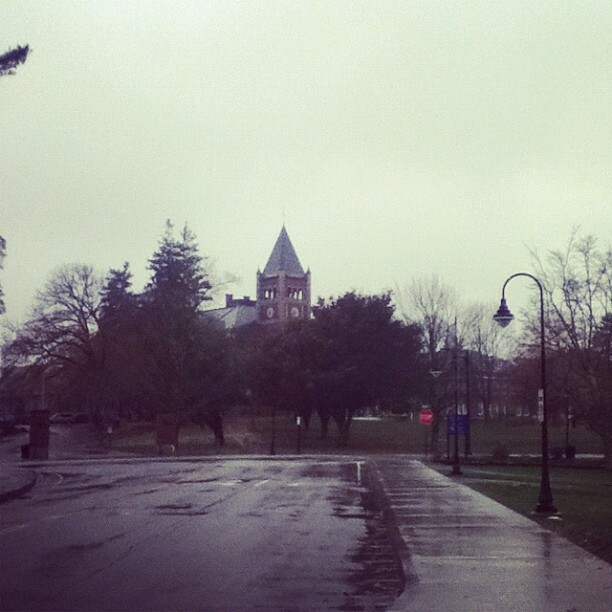 When I was touring schools, though, I realized that UNH was exactly everything that I wanted. It offered the perfect university package: a beautiful campus, great location, academic and social opportunities and so much more. Now that I’m here, I love UNH and couldn’t imagine myself anywhere else. What do you do outside of classes and homework? As a first-year student, I was lucky enough to stumble upon the Campus Activities Board (CAB). CAB is a student-run organization that offers late-night weekend programming for the entire campus to enjoy. Since I was a freshman, CAB has always had a special place in my heart. The organization is all about empowering others and making a difference on campus. Being a part of something that impacts thousands of students is one of the most powerful and rewarding experiences I’ve had at UNH. As someone who was relatively introverted at the start of college, CAB really helped me develop my leadership skills and come out of my shell. Throughout my time in the organization, I’ve had the opportunity to serve on the executive board twice as public relations lead, and I also chaired the 150th Homecoming celebration this past September. Any favorite classes so far? One of my favorites is Strategic Management. In this class, students have the chance to learn the truth behind what creates strategy and a competitive advantage. The foundation of the class is taught through case studies and a semester-long group project. Our project is designed to lead the group through the application of key course concepts. Our group is responsible for choosing a company, deeply researching their products, industry, etc., and providing strategic recommendations regarding what the company should do next. One of the best things about this class, though, is the professor, Dr. Andrew Earle, who is both brilliant and personable. He leads the class similarly to how upper management would run a company, helping students get the full idea of what to expect after graduation. Is there anything particularly awesome about Paul College you’d like to share? Throughout my time in Paul College, I’ve attended meaningful classes and met intelligent professors, but after three years, I believe that it is more than just an academic experience. One of the best things about Paul College is all of the opportunities it has to offer. Over the past two years, I’ve gotten involved in a few different ways. I’m currently in my second year as a peer advisor in the FIRE Program, which pairs 20-25 first-year business students with an upperclassmen peer advisor. Additionally, I am a principal member of the Rines Angel Fund, a student-run angel investment group, and I’m a dean’s ambassador. All of these activities have helped me become a better student, enhance my skills and broaden my perspective. Not only has Paul College given me the skills and tools that I need to succeed after graduation but it has also given me the confidence to believe in myself. 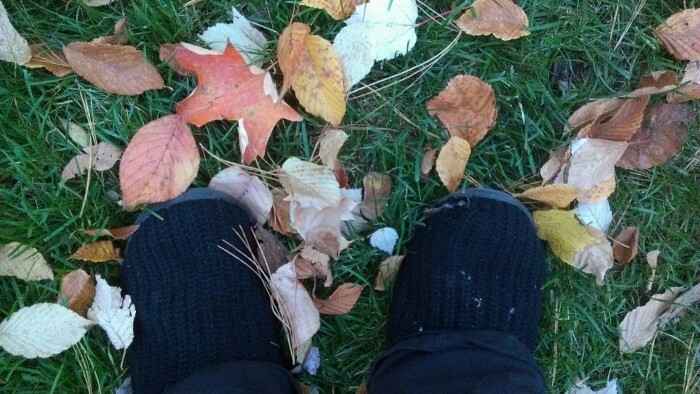 What’s the most important lesson you’ve learned at UNH? UNH has taught me many important lessons, but one that really hits home for me is to not be afraid of doing something out of your comfort zone. When I think back on my time here , some of the best and most worthwhile experiences that I have had have been because I challenged myself to be more courageous. As someone who came into college thinking I would never be a leader and would never be good at public speaking, I am happy to say that I proved myself wrong. UNH has taught me that growth happens outside of your comfort zone, and that is a lesson that I will carry with me into my career and beyond. 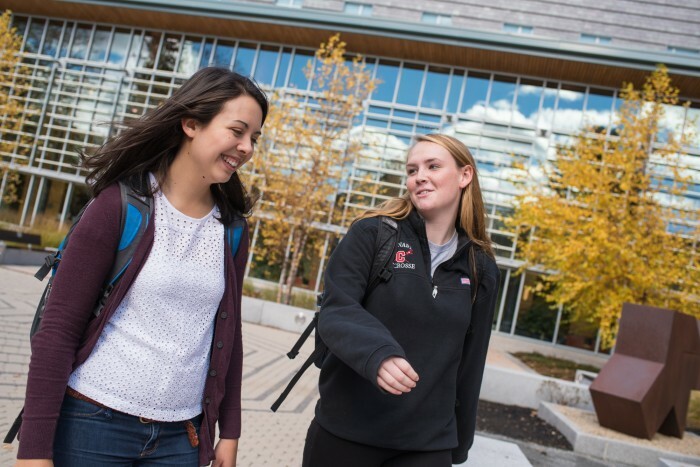 Tell us about one of your favorite UNH experiences. My favorite experience at UNH was attending the annual UNH Leadership Camp during the winter break of my sophomore year. Leadership Camp is a five-day retreat in Tuftonboro, New Hampshire, hosted by the Memorial Union & Student Activities. Leadership Camp is known as being “the best week ever,” and it truly was. While there, I learned the fundamentals behind what it means to be a leader, but I also learned about my own strengths and weaknesses. Furthermore, Leadership Camp gave me a second family of friends. I came back to campus knowing 50 new people and having many lunch plans and endless text threads. It was an incredible experience and applying to it was one of the best decisions I have ever made. The #MyUNH series features University of New Hampshire students answering a series of questions regarding their decision to enroll at the university and how they’ve written a personal UNH story. Would you like to tell your story? Email social.media@unh.edu. Older PostThe Winter Blues: SAD or sad?